April 1, 2014  Will Chicago Mayor Rahm Emanuel, a former top aide to President Obama, find himself facing a challenge from another politician who was once close to Obama? September 17, 2012  The city argues that the strike is prohibited by state law. Teachers want more time to consider a tentative contract. One of the key issues concerns an evaluation system that bases much of teachers' pay on students' standardized test scores. 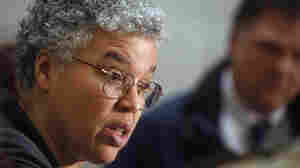 September 11, 2012  The Obama administration and the president's Chicago-based re-election campaign are trying to minimize the risks of offending teachers and union members by carefully navigating the tricky waters between Mayor Rahm Emanuel and the striking teachers. September 11, 2012  Late-night negotiations have failed for a second day to resolve an impasse between the Chicago Teachers Union and city officials over such issues as teacher evaluations. September 8, 2012  Now that Chicago Mayor Rahm Emanuel is in charge of raising really big dollars for a superPAC that supports President Obama, wealthy Democrats all over the country may be eyeing their phones nervously. Sources tell NPR that Emanuel will be pushing for donations of $10 million and more. 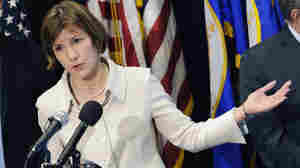 May 17, 2012  Accretive Health, under fire for how it collects on health care debts, is fighting back. The company has lined up some political luminaries, including Chicago Mayor Rahm Emanuel, to press its case. The mayor's message: Have a safe Halloween, zombies included. 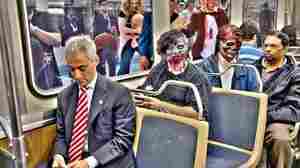 October 31, 2011  Mayor Rahm Emanuel rides with the living dead in a whimsical image his office has posted online. June 17, 2011  In his first few weeks as mayor, Rahm Emanuel has taken hundreds of Chicago police off desk jobs and put them on the streets in the city's highest crime neighborhoods. He has also taken steps to lengthen the school day and year for public school students as he tries to shake up a complacent bureaucracy.